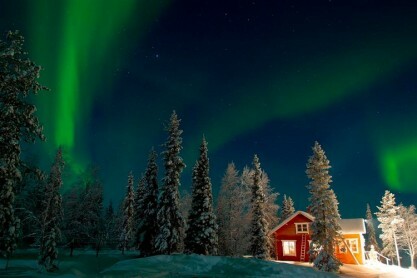 One of the highlights to Lapland is an early evening adventure in search of the Northern Lights. Sometimes they develop in to a riot of colours, a green colour interspersed with waves of red, blue and violet dancing across the sky. In Lapland you should be able to see them every other night on average but now it is easier to predict when they will appear with satellites constantly taking photos of the sun’s activities. They can be seen from early evening as soon as it gets dark although they do vary in intensity throughout the night. It is one of those things that you need to do at least once in your life. The magic of this natural phenomenon with colours dancing in the skies has to be seen to be believed. Officially known as the Aurora Borealis, it is created by high energy protons and electrons from sun-spots being brought by a solar wind and then trapped in the Earth’s magnetic field. The red and green colours occur when these particles collide with oxygen atoms and blue shades when the particles collide with nitrogen molecules. Solar winds can reach speeds of over 500 miles per second. 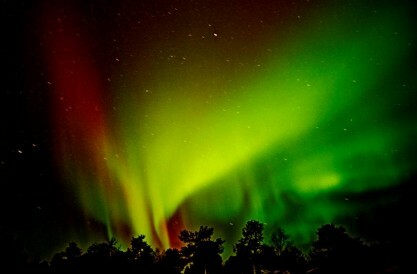 Since time immemorial, the Northern Lights have aroused fear and interest in people. There is an old local legend that says that the lights were caused by an Arctic fox as it ran along the fells, catching its busy tail in snowdrifts and sending a trail of sparks in to the sky. In Finnish the Northern Lights are called “revontulet” or “fox fires” as its name derives from this legend.It is thought that the Aurora Borealis inspired many dragon legends as people imagined fire-breath flashing across the sky whilst cultures like the Japanese are fascinated by natural wonders and there is a story that any children conceived beneath the lights will become intellectuals. The excursion departs early evening by driving snowmobiles out in to the wilderness to find a good viewing place. Your guide will show you how to drive the snowmobile and then you set off in convoy in search of the Northern Lights. Children travel in a sleigh together behind a guide’s snowmobile. Arctic suits are provided along with helmets and visors. After driving for a while a stop is made and a guide lights a fire and everybody enjoys a warm drink. Don’t forget your camera. As the year progresses and the Northern Lights become more active I will try and keep on top of the news and update you on the activity overhead. 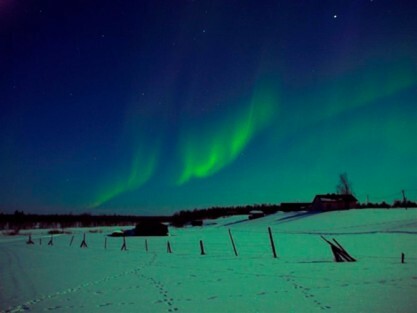 Many websites and newspapers are predicting the most activity and best Northern Lights for a long time. 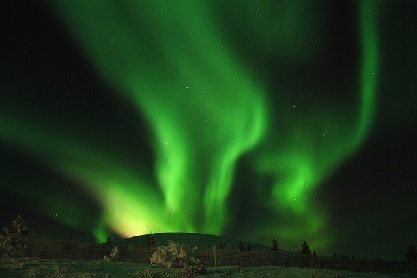 Aurora Borealis in all it’s glory!